Include the supply pipeline construction and operations as part of the Designated Project and include all associated impacts in the Kwispaa Review. Include the shipping area to the 200 mile limit in the Designated Project Area and all associated impacts in the shipping area in the Review. The shipping area to include all SARA Critical Habitat areas the shipping may pass through. Include downstream impacts of GHGs resulting from the combustion of LNG cargoes at their final customer destinations. Include upstream impacts of natural gas supply including GHG emissions from construction, operations, compression, natural gas well drilling and development and fugitive emissions from natural gas production of the supply wells and supply pipeline network. Include all effects listed in the Kwispaa Project Description Table 5-8 Potential Project Related Effects. Include a Human Health Impact Study. Include a Socio-Economics Impact study that includes the pipeline impacts, the project area impacts including shipping, and construction and operations. Include loss of forestry production values for the pipeline right of way. Include signed contractual undertakings that bind customers to use the LNG to replace coal combustion. Include a Federal Review of the supply pipeline by the National Energy Board as the natural gas is from the inter-provincial Western Canada Sedimentary Basin with a planned supplier from Alberta. TransMountain: NEB Decision Day of Action: No Trudeau Pipeline Expansion! “The Hakai Institute and our partners are advancing the way we survey from the sky. 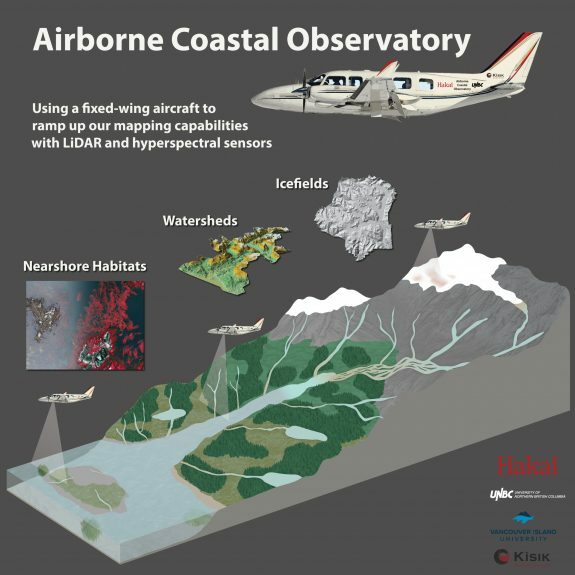 We call it the Airborne Coastal Observatory—a fixed-wing plane dedicated to mapping on the BC coast for the next five years in partnership with the University of Northern British Columbia, Vancouver Island University, and Kisik Aerial Survey.” Read more. “In a rare rebuke, the United Nations has instructed Canada to suspend construction of the Site C dam on B.C.’s Peace River until the project obtains the “free, prior and informed consent” of Indigenous peoples.” Read more. And remember the December 2018 article on UNESCO calling for a review of Site C vis-a-vis Wood Buffalo National Park and Canada blowing them off. The (NDP) Nanaimo MLA stepped down to become mayor of Nanaimo. The NDP MP for Nanaimo-Ladysmith is stepping down to run for the MLA position. This means both a provincial AND a federal byelection are in the offing there. The BC Greens’ candidate is Michele Ney. If the Liberal candidate wins, the BC Liberals will have 43 seats, equal to the NDP/Greens seat count of 43. This would put Darryl Plecas, the Speaker, to cast tie-breaking votes. If either the NDP or the Green Party candidate wins, then the NDP/Green government would be one seat stronger. There’s a difference, though, in the balance of power – or the balance of responsibility, as Adam Olsen calls it – if the Green Party candidate wins. The article in the Tyee ends with, “When it’s held, whatever issues the candidates campaign on, ultimately it will be seen as a vote on whether or not the current government should have a chance to continue.” Perhaps the BC Liberals are hoping that the NDP and the Greens will sufficiently split the vote in the Nanaimo byelection that they (the Liberals) can come up the middle. Read more. …but, should the NDP and the Greens just merge? Crawford Killian of the Tyee thinks so. Killian sees a merger as the best option to counter the Liberal/Conservative merger that is currently called the BC Liberal Party. This might be a good argument if a party just wants to win elections and gain power, but that has never struck me as being the goal of the Green Party. The Green Party – whether provincial or federal – has fundamentally different values from the NDP; it’s hard to see what policies such a merger would result in. From the Gidimt’en Checkpoint‏ at about 9 pm: “This is absolutely disgusting… After forcibly removing our people from our territory, I am following a sheriff vehicle… And see trucks pulling trailers (for man camps) coming towards us.” Watch this video from the National Observer. There was a Day of Action in Courtenay, Campbell River, and in Powell River on January 8. Local, national & international actions in solidarity with Wet’suwet’en Access Point on Gidumt’en Territory. 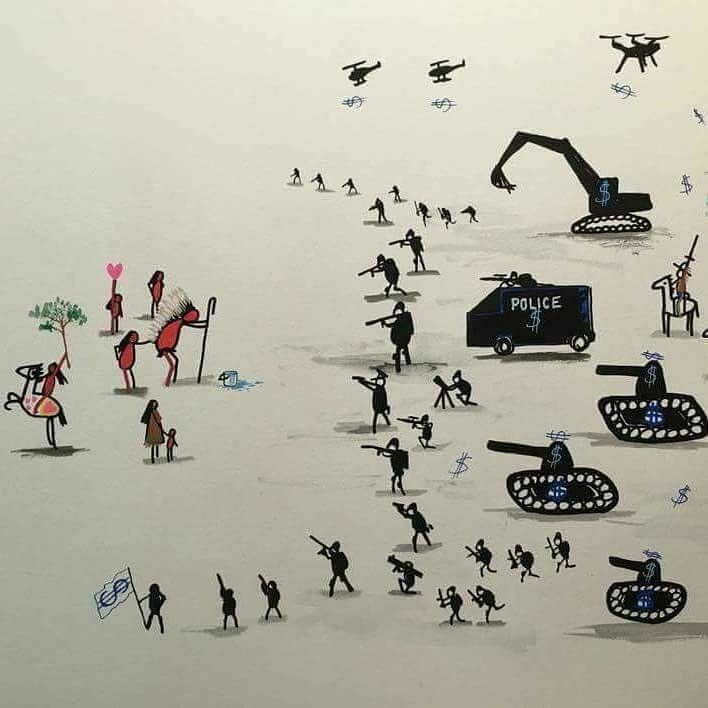 Actions were scheduled for: Canada: Calgary, Chilliwack, Cortes Island, Courtenay , Edmonton, Galiano Island, Halifax, Hamilton, Kitchener-Waterloo, Mayne Island, Mi’kma’ki , Montreal/Tio’tia:ke, Nelson, Sinixt Tum Xulaw7x, North Bay, Ottawa, Peterborough, Powell River, Prince George/Lheidli, Regina , Rexton, Sikniktuk Mi’kma’ki, Six Nations, Smithers- Gidimt’en Territory, St’át’imc, Sudbury, Thunder Bay, Toronto, Vancouver, Victoria, Winnipeg, Whitehorse. US: Bellingham, Flagstaff, Arizona, San Francisco, California, New York City , Saskatoon, Seattle, Washington. Italy. In Toronto, thousands gathered. In Ottawa, Trudeau’s cabinet was forced to leave, unable to attend their meeting this afternoon at Diefenbaker federal government building because of hundreds occupying this space. Update: January 8: From the Gidimt’en Checkpoint‏ at about 9 am: “Reports have confirmed that 28 RCMP police units, including tactical, and other forces, (as well as more than 10 unmarked trucks, and heavy equipment, accompanying them) are almost at the KM 27 junction.” Nathan Cullen and journalists barred from site by RCMP. Read more. Update: January 9: There seemed to be progress in an agreement between the First Nations and the RCMP. Below is an upcoming event people may be interested in. “This week the Dance Temple is dedicated to the Unist’ot’en Camp in BC. To clarify: this is not an official fundraiser. We may still hold a fundraiser once we have heard back from the people at the camp, but understandably they have other priorities at this time. We are dedicating this dance, and all door proceeds, to the donation pages linked below. You are welcome to add extra cash to the basket at the door: all money from this dance will be donated to the Unist’ot’en Camp. Alternatively, you may go directly to their Donate page. For some background (only one person’s view), read this piece in The Tyee about how Canada got to this place, and this article by Judith Sayers on January 10. The Union of BC Indian Chiefs also put out a statement on January 10, taking issue with Premier John Horgan’s comments on this crisis. Read more. The crowd-sourced, interactive website mapping traditional territories of Indigenous people, treaties and language has grown to become so much more, and has just become a Canadian not-for-profit. “It helps plant a seed that there’s people here before you, these are the lands that they’re on, and they’re still here.” Read more. According to the National Post, “…a number of leading indicators suggest a resurgence in Green fortunes.” Read more. I know what you’re thinking…we already know Elizabeth May tells the truth on climate change. Yes, but here’s a JOURNALIST saying it! Read more. Excerpt: “The Green Party’s Elizabeth May is the only mainstream federal leader who’s a straight talker on climate change…she has a consistent position that makes sense…I respect that, unlike Justin Trudeau, Catherine McKenna and Andrew Scheer, she isn’t blowing smoke up our behinds.” Finally, a journalist who is paying attention! Thank you Lorrie Goldstein! “So carbon taxes are set to be a wedge issue for the 2019 campaign. 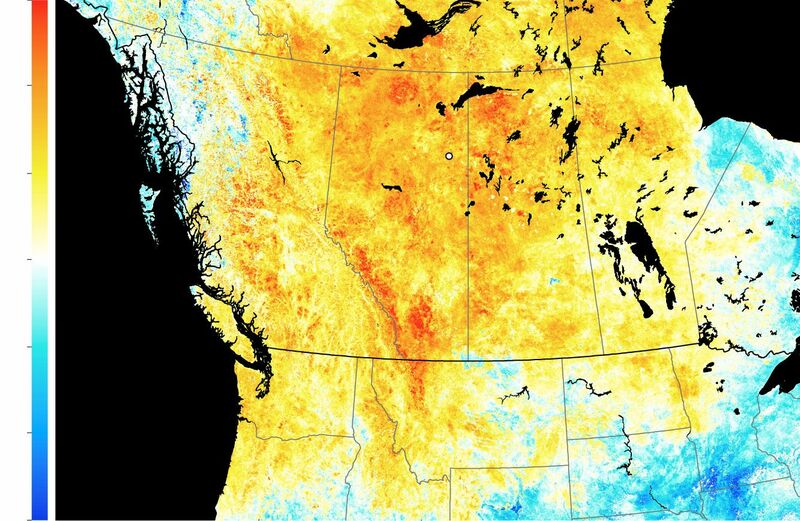 Using carbon taxes as a ballot box issue by both Liberals and Conservatives through deliberate political manipulation is a distraction from the key question: can we act in time to preserve a livable world? We—media and politicians—are talking about climate without addressing the threat. And time is running out.” Read more. Policy Magazine also has profiles on the Liberals, the NDP, and the Conservatives. It is refreshing to see the Green Party included. This article is well worth reading – not so much because of the referendum on proportional representation, but because of how it speaks to political parties and candidates connecting with voters on a very personal, caring level. I love the transactional vs relational analysis of those connections. We can’t realistically expect voters to give their time and/or money to us if we only care about them once every four years. This really reflects the discussions members of the Greens of North Island-Powell River Executive has been having over the past year – how to we remain connected throughout all the years of an election cycle, not just the actual election year. For most progressives, an ethic of care is our underlying motivation. It is time we made that transparent. But the organizing principle cannot be “Do unto others what you would have done unto you.” Instead, it must be “Do unto others what they wish done to them.” This requires actually getting to know the other. Big data is our friend but it is not our foundation. Facebook communities are not influential outside their bubbles. Emails are often ignored and are a very poor foundation for relationships. There is no substitute for being seen by another person. Eye contact and bodies in the same space matter. Once people feel genuinely cared about, they will accept influence. This is likely to work both ways. Organizations will have to get used to receiving as well as giving influence. People will not feel genuinely cared about if the basis of the offer of relationship is transactional (“I want you to campaign with me on my issue so I will now see you”). And here is Elizabeth May’s video to explain why this bill is so bad. Please watch this video. You will see how passionate Elizabeth is about this because it has Harper’s fingerprints all over it. It may be that some environmental organizations have never seen how this assessment process used to (and is supposed to) work. Elizabeth has been around long enough to know good, and bad, legislation when she sees it. Bill C-69 gets an F.
This blog has previously reported on the opening up of the Sable Island sub-basin for oil and gas drilling. According to Sierra Club Canada, the call for bids includes Sable Island itself, which is a national park reserve. The call for bids is open until May 8, 2019. The offshore oil industry in Nova Scotia is overseen by the Canada- Nova Scotia Offshore Petroleum Board, not the National Energy Board. To illustrate the disconnect between the part of government protecting the National Park Reserve and the part of government granting offshore drilling licenses, a spokesperson for Sierra Club Canada Foundation said, in a December 13, 2018, press conference, that “Just last week, Canadians were being consulted as to whether activities such as camping should be allowed on Sable Island.” Read more of the issue of allowing human (tourist) activity on the island here. Also read this opinion piece by Megan Leslie, then an NDP MP, from September 2014, titled, “Sable Island: A national park in the middle of a gas field.” It begs the perennial question in situations like this: What could possibly go wrong?! The NAFTA (USMCA) negotiations are finished, the deal is signed. Now Canada is being sued by Westmoreland Coal Co, which purchased five coal mines in Alberta in 2013, trying to avoid then US President Obama’s plans to transition to renewable energy. Then, in 2015, Alberta started plans to phase out coal-fired power by 2030. Westmoreland filed for bankruptcy protection in the US in October 2018, but now wants to be compensated by Canada for their bad decision to buy Alberta coal mines. “…the Westmoreland claim is the first brought in relation to a policy explicitly designed to combat climate change.” The fear is that claims like this will cause national governments to hesitate about bringing in legislation to address global warming. “Regulatory chill” is a phenomenon that has been observed in several jurisdictions around the world. A notable example is the decision of the New Zealand government to delay the introduction of legislation to require plain packaging of tobacco products until Australia won its ISDS case against the tobacco company Philip Morris International. This delay of regulatory action — out of fear of expensive litigation — may have cost lives.” Read more. “The personal is political.” If you don’t recognize that phrase, you may be too young to have gone through the women’s movement in North America. We see many attacks on women and sexual minorities all around us all the time. “Lately, we have witnessed global story after story of government rollbacks on abortion provision, LGBTQ rights and now the closure of entire programs devoted to women’s and gender studies.” Read more. “In many ways, lives are getting better because people came together at the UN to collaborate and act. While it’s easy to focus on everything wrong in the world, let’s not forget the wins. And let’s be inspired by them to keep working.” Read more. …it’s trees. This piece from Scientific American lays out how forests are the most powerful and efficient carbon-capture system on the planet. This Wall Street Journal article from October 2018 leads with the Fort McMurray fire. The U.S. Supreme Court just declined to block a state investigation into whether Exxon misled the public and investors about climate change. Read more. Check out these photos from 2018. People are rising all over the world and demanding action on global warming. Thanks so much, John. I’m so glad you find it useful! Another truly great newsletter, Megan. Several confusing issues were clarified for me in this week’s collection. You really know how to get to the core facts! Thanks again and please keep them coming.